The energy in the room was suddenly heightened as smoke began to slowly filter through the from some other, outside and unknown, location. How could they escape? The puzzles and riddles didn’t make sense, the clues weren’t coming together, the tumblers weren’t tumbling in the locks. They were still trapped. With the additional stress of a real (or perceived?) emergency, clear heads became foggy, and chances of escape diminished to nearly zero. As their eyes met, the girls were suddenly and simultaneously gripped by the terror of the realization that this was going to be there permanent grave and final resting place. The room seemed to be a perfect square or cube, considering the ceiling and floor. The walls were the drab brown of wood paneling made even darker and dingier by the countless fingers and hand prints from others that had come before. It looked like an old office or library, maybe a study. A bookshelf along one wall, an antique roll-top secretaries desk on the other. Loosely mounted on the wall to her back was a nearly wall-sized, sepia toned, map of the world. On the floor in the center of the room was a large round rug, probably Persian or Oriental. They didn’t know. The rug was a plush woven pattern of small star-type shapes, sewn within larger star-type shapes. Neatly positioned on the rug, was a brown leather chair. The leather was worn and scratched. A few miniature tears permitted the protrusion of wisps of cotton from the seat, back, and arms. Next to the chair, plugged directly into an outlet on the floor, was a tall slender lamp. The lamp was a brushed bronze, with a single bulb. The bulb was surrounded by a tassled cloth lampshade. The yellow hues cast by the dark shade, added to the already low visibility within the room. Of all the rooms features and decor, the most ominous was the illuminated wall clock. The clock had been counting down. Now, as smoke filled the room, the clock had stopped at 00:28. Twenty-eight minutes until, what? How did they get here? How did they end up in this locked room? Where was the way out? This could be the start of another film in the Saw franchise. Or, it could be the beginning of locked-room, pulp fiction mystery of the early 1900’s. 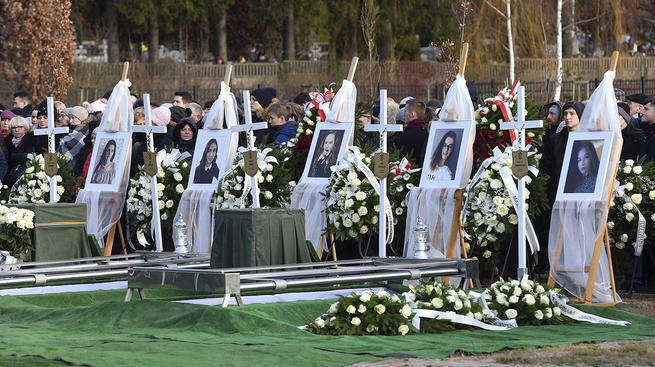 For Julia, Amelia, Gosia, Karolina, and Wiktoria, however, this is no work of fiction, instead, it was the final activity of their young lives. The five girls from Koszalin, a city in northern Poland, were celebrating the birthday at an “escape room” game attraction. What should have been a joyous and momentous occasion, a birthday party for a fifteen year-old, ended in tragedy. A fire investigation determined that the cause of the fire was a gas leak in the heating system. Local fire authorities also noted the presence of faulty, non-compliant electrical wiring co-mingled with flammable materials. The fire started in the lobby or one of the other rooms of the establishment, and smoke filled into the girls locked escape room. One employee was taken to the hospital in serious condition from direct burns to his body. One report states that the firefighter had significant difficult entering the building to extinguish the fire and recover the girls. This is consistent with statements that the injured employee had tried to get to the escape room but could not due to fire damage. The girls cause of death was ruled carbon monoxide poisoning. Carbon monoxide (CO) is only one half of the “toxic twins” of smoke. The other is hydrogen cyanide (HCN). The danger of hydrogen cyanide lies in the fact that it can immediately start to attack and kill the organs, in a fire and smoke scenario this danger is further enhanced by the presence of carbon monoxide. As the HCN attacks the organs, the CO is depriving the oxygen from those same organs. The common materials that are used in the makeup of our homes, businesses, clothing and automobiles - plastics, resins, nylon, polyurethane, melamine, acrylonitrile - produce very high levels of CO and HCN when burning. These chemicals result in the slow painful death of asphyxiation and bodily organ shut-down. Originating in Japan, but popularized within just the last few years, escape rooms allow small groups of people to work together using clues, riddles, teamwork, and communication to escape an enclosed space. Typically these rooms are themed, and involve competition with groups in other rooms. The clues are comprised of various combinations of puzzles, props, and riddles. The thirst for adventure, an adrenaline rush, and an emotion filled social experience has contributed to the growing trend of escape room attractions In the United States. There is an estimated 2,300 escape room facilities in the US. This is up from only twenty-two in 2014. Bringing in nearly $125,000 a year per room, this is a business that will continue to grow. 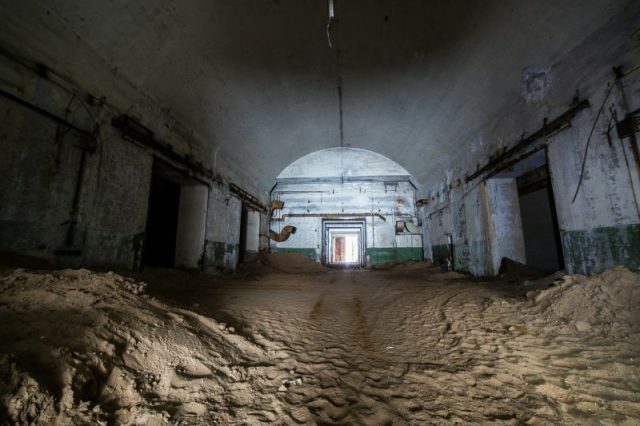 How can we prevent the ingredients of escape rooms (and nightmares) - locked in a windowless room, imminent danger, no way of escape - from becoming disaster and tragedy? One tool we can use is building and fire codes and standards. In the United States there are two primary code-making bodies, the International Code Council (ICC), and the National Fire Protection Association (NFPA). 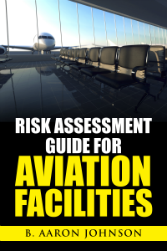 Each of these organizations publish multiple codes and standards including a building code and a fire code. The ICC publishes the International Building Code (IBC), and the International Fire Code (IFC). The NFPA publishes NFPA 5000, Building Construction and Safety Code; NFPA 1, Fire Code; NFPA 101, Life Safety Code. Utilization of these codes and standards for building construction, fire protection, or life safety is not mandated or required. However, all fifty states do voluntarily adopt some version of these, or have created their own codes and standards based on their content. Once adopted by the state, the provisions then become enforceable as law. Currently neither of these code bodies publishes a code or standard specific to “escape rooms”. They do have sections in their codes for “special amusement buildings”. This is the section of code that is typically applied to these structures. Escape rooms and special amusements fall into the general building classification of an “assembly occupancy”. A thorough review and application of these codes and standards generates the following mash-up of requirements. A fire sprinkler system is required for the protection of these structures. Both code bodies allow the omission of fire sprinklers for amusements and attractions that are less than 1,000 sq.ft. and when the travel distance to an exit is less than 50 feet. If the space is less than 10 feet high and 160 feet wide, then sprinklers may also be omitted. Smoke alarms and other fire detection devices are required to be installed throughout the amusement space. The smoke and fire detection devices are required to send any activation signals to a constantly monitored location. Additionally, the system must be equipped with an emergency voice/communication system that can be clearly heard throughout the facility. If the fire alarm or fire sprinkler is activated, lighting should be activated so that the exits and exit pathways are clearly illuminated. Any other sounds or visual application that may be confusing or conflicting are required to be terminated. Exit signage is required to show the location of exit doors and pathways. Directional markings are also required, but they can be setup to be visible only in the event of an alarm or fire sprinkler activation. Floor proximity exit signage is required and must be mounted with the bottom of the sign between 6” and 18” above the floor. The IBC states that the bottom of the sign must be no more than 8” above the floor. If the exit sign denotes the location of a door, the sign must be within 4” of the door frame. Interior finish includes paints, fabrics, carpets, and other items that are applied to the walls, floors, or ceilings of a structure. These products are classified based on flame spread and smoke development. Class A is the most flame resistant, with a flame spread index of 0-25 and a smoke developed index of 0-450, and is the rating required for special amusement structures. Another tool that can be utilized for the protection of occupants within escape rooms is to follow industry best practices. The primary best practice is to have a sufficient number of personnel, that are properly trained, to staff the escape room attraction. The staff must be knowledgeable of emergency procedures, fire alarm response, safe exiting and emergency egress procedures, and proper operations of the escape room components and access ways. Staff should provide instructions on emergency procedures and exit locations to participants prior to the start of the event. Staff should monitoring the rooms via live video feeds. This allows for prompt notification of issues or injuries, and can also be an effective method of communication with participants, if needed. In construction of the room itself, it is recommended that they have a simple progression and avoid many twists, turns, or small passageways. This contributes to a more quick and direct exit access in case of emergency. Utilizing only low-voltage electronics for room equipment and props can minimize any potential fire hazard. It is always a good practice for escape room owners and managers to maintain clear and open communication with the local fire department. Regular inspections of fire protection and life safety equipment, and the space as a whole, should be encouraged and conducted. Don’t let the fun, excitement, and faux-adventure of the special amusement of an “escape room” become a tragedy. Before starting the game ensure that you know where the exits are, you know how to get out of the building, and you know how to notify staff of any issue that may arise. 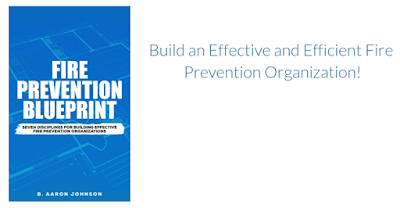 With the many tasks, responsibilities, and requirements of the fire prevention organization how can personnel and resources be best utilized to ensure that they are functioning at optimal effectiveness? Can they know that they are focusing on the right tasks and activities? 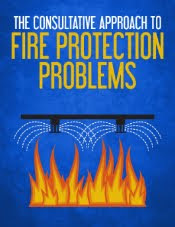 The solution is a clear plan of action that identifies and provides for the most effective and efficient methods for performing essential fire prevention functions. 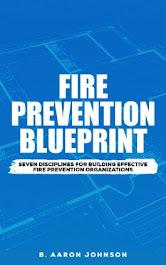 Identify the seven disciplines of effective and efficient fire prevention organizations. Describe the key functions, features, and components of each discipline. Apply practical guidance for implementation of each discipline. Utilize readily available tools and resources for continued effectiveness and efficiency. I have written extensively on this subject. Articles that delve deeper into these topics can be found at the below links. 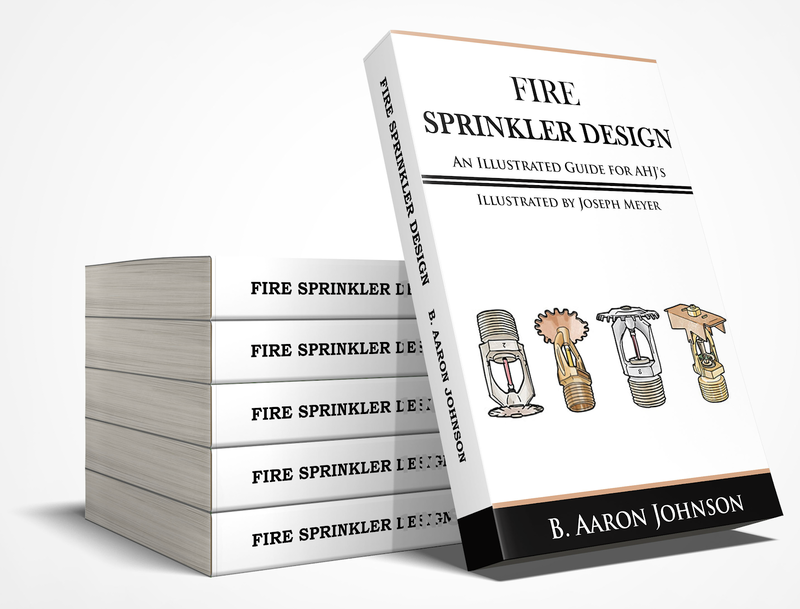 Fire Prevention Blueprint - What it is, and how it can benefit your department. 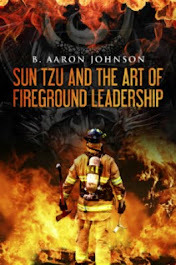 Seven Disciplines for Effective FPO's - Identifying and defining the seven disciplines. The FPO Effectiveness Tool - How to use the “FPO balance wheel” to assess your organization. Today's facility manager is a key contributor to a companies bottom line. This contribution is realized in the maintenance of a companies most valuable assets - property, buildings, and equipment. Facility managers are expected to be an expert on all building related subjects, and the often serve as a "catch all" for jobs and responsibilities that do not fit anyone else's job description. The regular inspection, testing, and maintenance of fire protection systems is an important part of the job, and a critical component of ensuring life safety of the building's occupants. The Quick Response Fire Supply team has written an excellent series of articles to educate the facility manager on what to inspect in fire sprinkler systems. 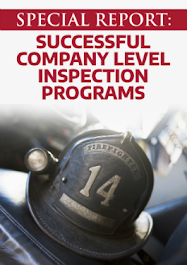 What to look for on the required annual visual inspection - "from the floor level". Understanding deficiencies, impairments, and tagging systems. 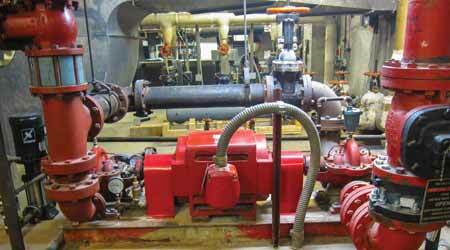 Inspection requirements for fire pumps. Fire sprinkler system signs, gauges, and alarms. Inspection requirements for water storage tanks. Automatic detection systems and air-compressors. In his serial, The Caves of Steel, Isaac Asimov writes of a future crowded nation where underground living is commonplace. However, in Beijing this is a current reality. Nearly one million people live beneath the city. These people are referred to as the shuzu, or “rat tribe”, and they take advantage of the bunkers and fallout shelter systems that were dug in the late 1960’s to 1980’s. These subterranean dwellings present multiple issue to the fire protection and life safety of occupants. NFPA 101, Life Safety Code, Chapter 11, Section 7, provides the basic requirements for life safety within underground and limited access structures. If the structure is permitted to have a single exit (per occupancy use), and the common path of travel does not exceed 50 feet. In addition to these requirements, structures that expressly meet the definition of underground structure must comply with these additional requirements. This is only an encapsulation of the fire protection requirements as outlined in the Life Safety Code. There are many other factors to be considered for safe underground dwelling. Aside from the building code, loads, and material requirements, there are very real emergency response issues. These challenges include ventilation, communication, orientation, access and egress, and patient removal. In areas of occupied subterranean environments departments should be aware of their existence and have robust plans for the maintenance and enforcement of codes and standards, and emergency response.